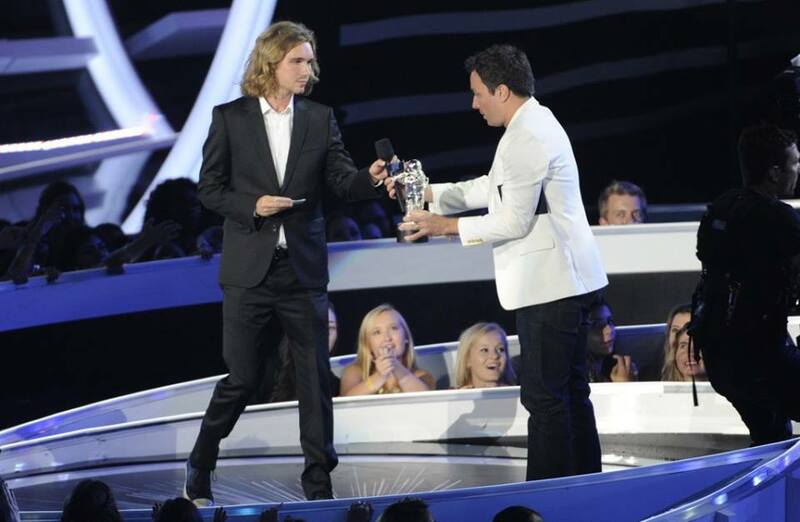 The young man who accepted Miley Cyrus’ VMA Award on behalf of homeless youth – kickstarting the celebrity’s fundraising campaign – was sentenced to 6 months in jail on October 2 for probation violation. Jesse told his judge that he would “like to be viewed as a good person, not as a nuisance to society,” according to The Oregonian. Originally arrested in 2010 for misdemeanor crimes, relating to criminal trespass and criminal mischief, Jesse Helt avoided his required community service and meeting his probation officer. Searching for modeling work, Jesse faced homelessness when he relocated to Los Angeles. It was at a youth homeless shelter that Jesse met Cyrus. After Cyrus’ visit, she decided to begin a fundraising campaign for the shelter, My Friend’s Place. The organization also offers more long term services and programs, including education workshops that address a variety of critical issues from drug abuse to mental health. Though it remains unclear whether or not Cyrus previously knew of Jesse’s criminal record, the pop singer not only paid for his flight to Oregon, but also offered to cover all of his legal costs. According to his mother, Linda Helt, Jesse is quick to assist a friend in need and always eager to lend a helping hand. Upon his return to Oregon, Jesse excitedly offered to help Linda fix up her house in Salem. While expressing faith that God has a plan and is in control, Linda asked for prayer for strength for her son during this time.